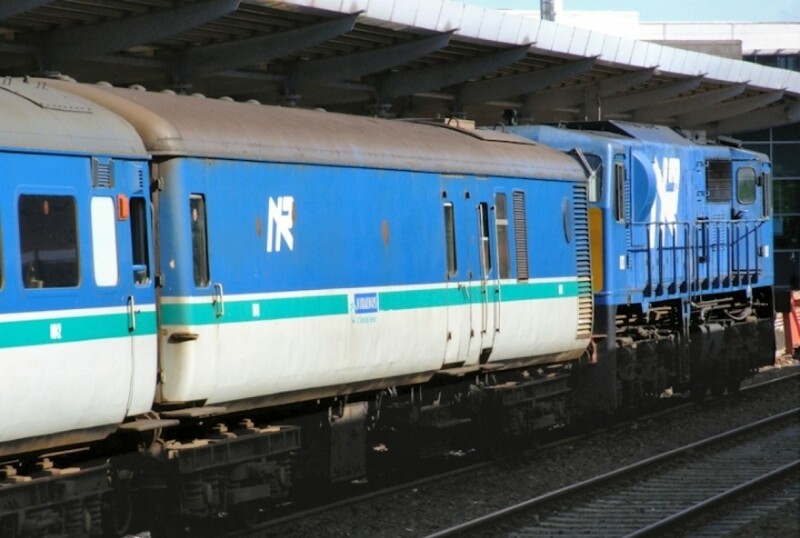 The Gatwick coaches, as they are known in Ireland, originated as British Rail Class 488 unpowered trailer sets, converted from Mark 2F coaches for the Gatwick Express service from London Victoria railway station to Gatwick Airport. 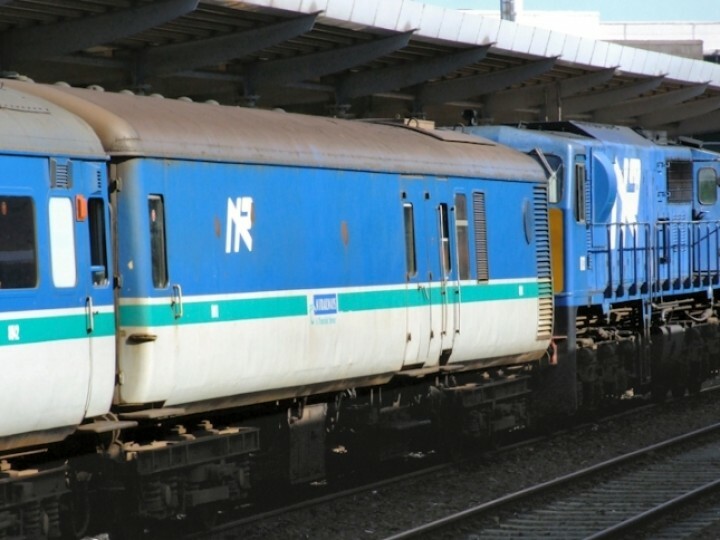 The sets were converted from conventional locomotive-hauled coaching stock in 1983-1984, and were used in combination with Class 73 electro-diesel locomotives and Class 489 luggage vans. Two variations were converted: 2-car sets (first class accommodation) and 3-car sets (standard class accommodation only). 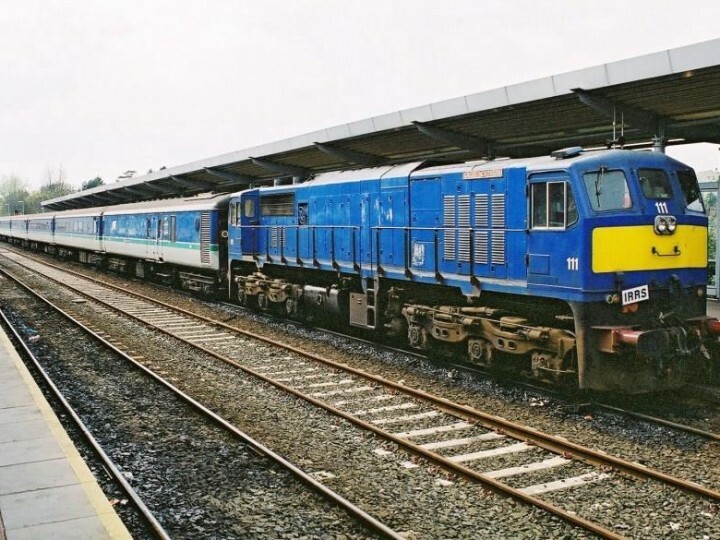 The two-car units were classified as Class 488/2 and were numbered in the range 48/8201-48/8210 and the three-car sets were Class 488/3, numbered 48/8301-8319. After BR privatisation, the entire Class 488 fleet passed to the Gatwick Express franchise. The Class 488 fleet was used exclusively on Gatwick Express trains. They were painted in the Gatwick Express variation of InterCity livery. 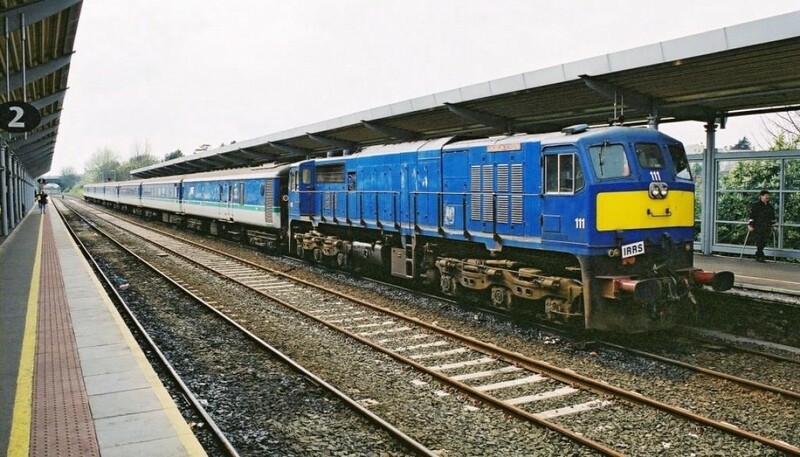 In 2001 eight carriages were sold to Northern Ireland Railways for further use as locomotive-hauled stock in combination with the 111 Class locomotives, and renumbered 8941 to 8948. 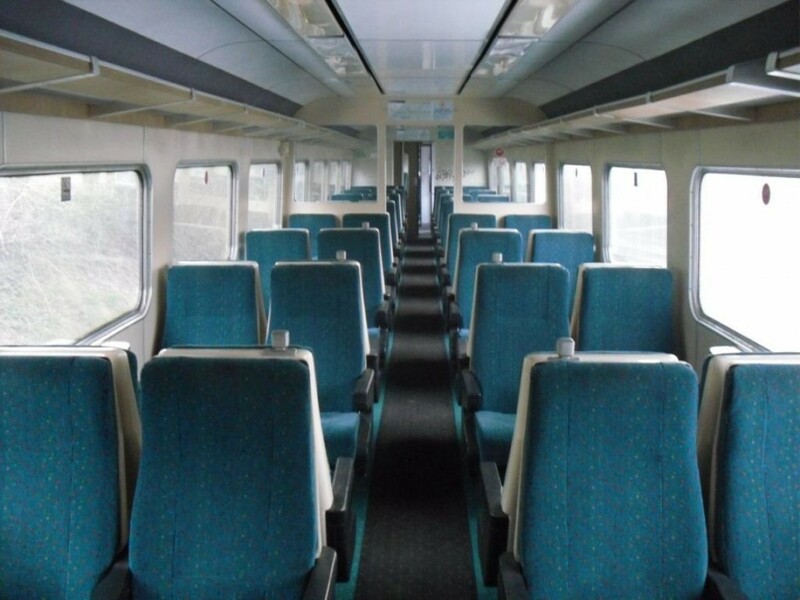 They were extensively refurbished by Railcare at Springburn, Glasgow and arrived in Belfast late in 2001. In addition, a former 900 series BFK, later a BSO, number 911, was converted to full BG in January 2002. The coaches are only known to have run as a full rake of 8 twice (on rugby specials). The normal formation in later years was 4 plus van, although they usually ran as 6+BG from 2002 to 2005. There were a considerable number of issues with the generator and wiring as they appear to have been the common source of problems. 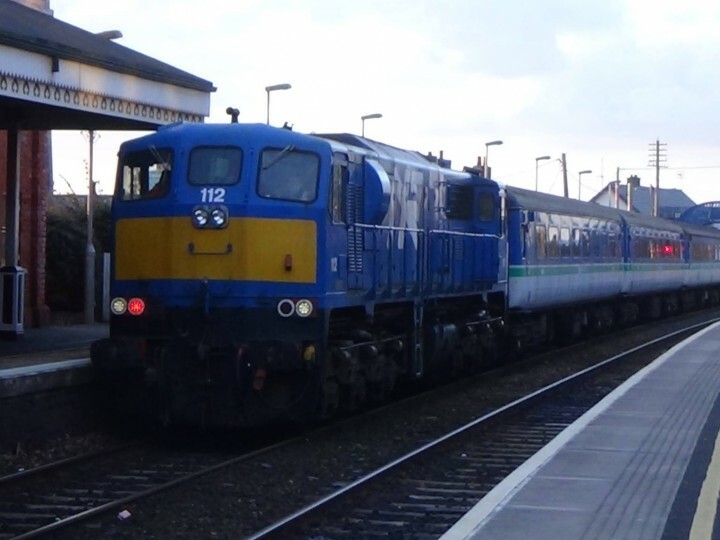 NIR withdrew the coaches on 19th January 2005, but they were re-introduced to provide extra capacity on the Portadown to Belfast (Central) service, making one trip every morning. Coaches 8943 and 8944 did not re-enter service. Last dates of operation were: 943+944, 19/1/2005; 941+942, 29/9/2008; 911, 945+947 and 946+948, 18/6/2009 (07:50 Portadown to Belfast Central with GM 111). 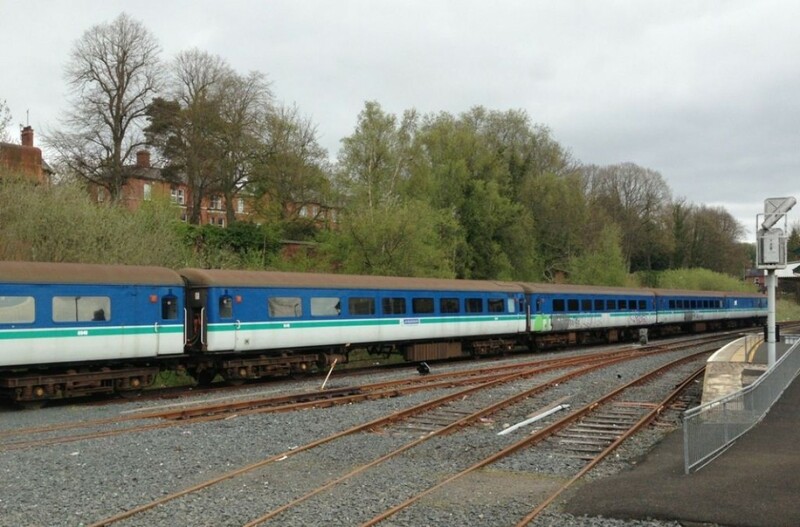 After final withdrawal the coaches were stored at Lisburn (8945+8947, 8946+8948, 8911), Ballymena (8943+8944) and Belfast York Road (8941+8942). In 2014 the RPSI acquired the coaches from NIR. 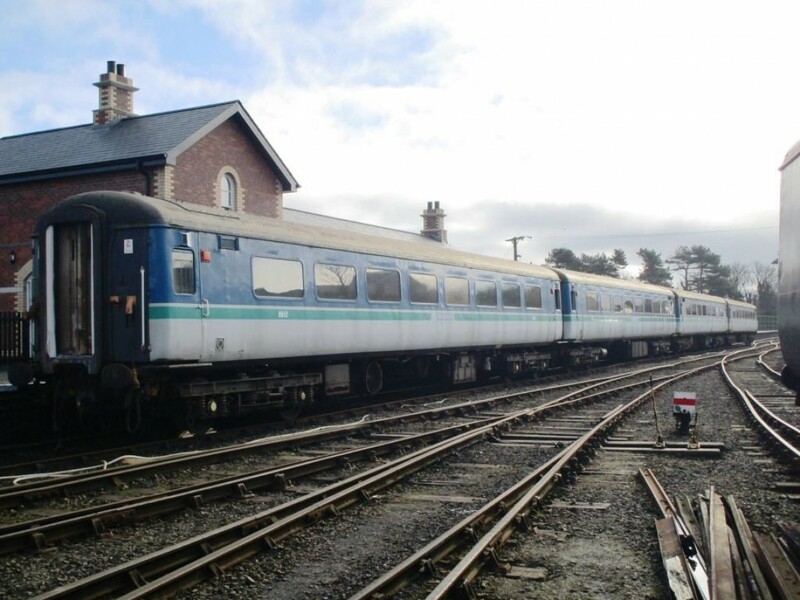 The intention is to eventually convert a number of the coaches to vacuum braking to supplement the existing Mk2 set. Investigating the feasibility of the installation of PV heating using existing AC ducting would be a requirement. Whilst initially expensive and time-consuming, this would produce extra steam-compatible carriages that are easier to maintain and operate within the existing RPSI maintenance procedures. 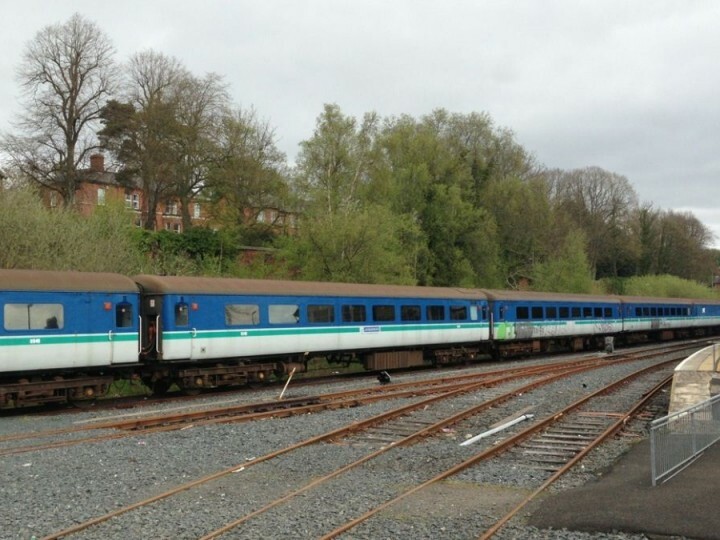 One of the coaches could be converted to provide a second dining vehicle in due course. Some of the carriages may well not see service again but would be a source of spares for the other carriages in the fleet. The generator in the full brake will probably have to be replaced with a modern reliable example. On Sunday 25th January 2015, 8943+8944 were moved from Ballymena permanent way yard to Belfast York Road in preparation for a move to Whitehead. Subsequently, on Sunday 1st February 8943+8944, along with 8941+8942, were moved to Whitehead. 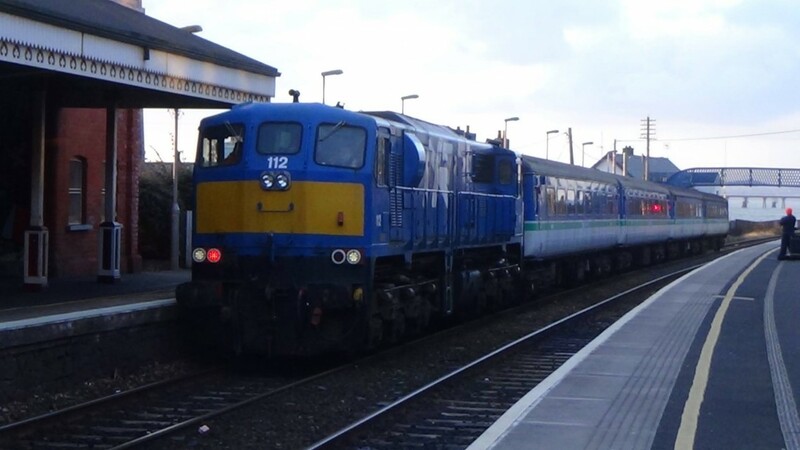 And on 19th July 2015 8941+8942 and 8943+8944 were moved to Dundalk temporarily to allow building work to commence at Whitehead.